Acne is a common skin disorder, which according to the American Academy of Dermatology affects more than 50 million people. Ranging from mild to severe – acne can take many forms. And even after you manage to get rid of acne, the former leaves behind stubborn scars that take even more time to fade away. We all dream of flawless skin. Unfortunately, hormonal changes and extreme exposure to pollution and junk foods prevents our dream from becoming a reality. 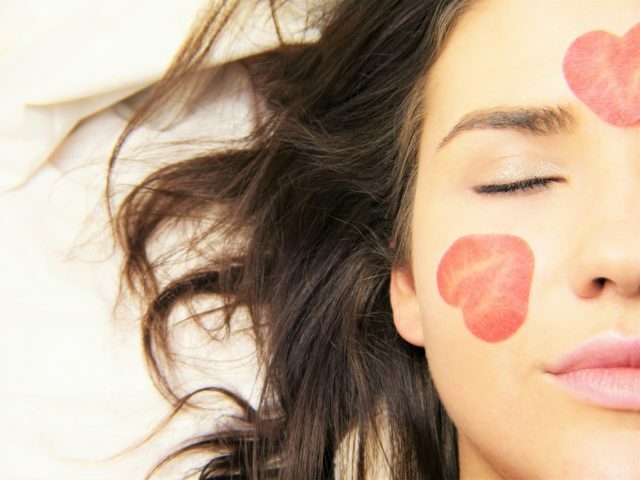 Luckily, there are simple home remedies and masks that can work wonders in removing acne scars. They may take some time but your regular efforts using these natural face masks for acne scars will gradually eliminate them permanently. Let’s take a look at these beneficial face mask for acne scars. Extract the gel from an aloe Vera stem and mix it with a teaspoon of fresh lemon juice. You can also mix the contents in a blender. Apply the mixture to the face evenly and let it sit for 10 minutes. Wash it off with lukewarm water and pat dry using a soft towel. For best results, apply a moisturizer afterwards and apply the mask twice a week. Please note: The leftover mask can be kept in a cool and dry place. Cucumber works as an astringent that helps remove dirt and dead skin. It is rich in vitamin E that enables it to fight against free radical damage. Moreover, the calming and cooling effects of cucumber helps in reducing inflammation associated with acne. For acne scarring masks, cucumber is often combined with yogurt. Rich in zinc, yogurt helps brighten dull skin and lightens skin discoloration caused by acne scars. Yogurt also contains vitamin B2 that encourages new and healthy cell growth. To prepare the acne scarring mask, cut a small cucumber into pieces and blend it with a blender to make a paste. Mix two teaspoons of yogurt and apply it to the cleansed face. Leave on for 20 minutes or until it dries up. Wash face with cold water and pat dry. The combination of cinnamon and honey is the ideal remedy to get rid of acne and its scars. Both the ingredients have been used for centuries to treat various ailments without any adverse effects. The antibacterial and antiseptic properties of both – honey and cinnamon are beneficial for treating wounds and lighten skin tone. To prepare the cinnamon and honey face mask for acne scars, take 1 teaspoon of cinnamon powder and mix it with 2-teaspoon honey. Apply on wet skin and leave on for 15 minutes. Wash the mask with lukewarm water. For best results, you can use the mask twice a week. An orange peel in dried, powdered form mixed with milk is another great face pack to lighten the scars caused by acne. To prepare the orange peel powder, simply dry the peels in an area where they receive the maximum sunshine. The drying process usually takes one to two days in sunny weather. Once the peels are dry, crush them into a fine powder using a food processor. Store the powder in an airtight container in a refrigerator. To prepare the orange peel face mask, take 1 teaspoon of milk and 1 teaspoon of orange peel powder. Mix both the ingredients well to make a fine paste. Apply evenly on face and leave on for 10 minutes. Rinse the solution with cold water and repeat the face pack every three days for best results. The fruit of avocado is a popular ingredient for hair and beauty remedies. The fruit is rich in vitamin C and works as an antioxidant to repair free radical damage of the skin. When combined with honey, the face pack aids in clearing out blemishes and scars. To prepare the acne scarring mask, simply mash two avocados and mix them well with 1 tbsp. honey and 1 tbsp. cocoa powder. Apply the mixture evenly to your face and leave on for 2o minutes. Once the face pack is completely dried, wash it off with warm water. Pat dry and apply a good quality moisturizer. For best results, apply the mask once a week. These were just some of the DIY acne scarring masks you can easily prepare with the ingredients easily available at home. Instead of using artificial, store-bought masks and creams, we suggest that you go for home remedies. They are not only cost-effective but also much safer and free from harmful additives. Most importantly, they do not expose your skin to any type of side effects.also by using the epi smooth your skin will look younger and beautiful it will remove your unwanted hair from the root of your skin.Try these masks out and do let us know in the comments, which one offered you with the most benefits. Good luck!